Want to become a contestant on "Bachelor in Paradise"? You'll need to sign a contract that allows the producers of the show to do nearly anything they want to you and your reputation -- including filming you naked, airing the details of any part of your life they think is relevant, or flat-out lying about you and things you've done. And you'll have to agree that the producers are not liable for almost anything that happens to you in the course of filming, whether you're injured, suffer emotional trauma, catch an STD -- or, in the words of the contract, subject to "unwelcome/unlawful contact or other interaction among participants." A contract for the current season of "Bachelor in Paradise," which CNNMoney obtained from a source close to the production, and has confirmed as authentic, provides a rare window behind the scenes of reality shows, in the "Bachelor" franchise and beyond, revealing how they are able to manipulate "reality" and create drama where none actually exists, and seemingly without having to take any legal responsibility for it. After reviewing parts of the contract provided to her by CNNMoney, Nicole Page, a New York-based entertainment attorney at Reavis Parent, said that it meant, from the producers' perspective, "I can basically take your image and do whatever I want with it and I own it and you have no recourse." Contracts like these are common in reality TV, she said. They "have been around since reality TV began," she added. Remember the episode of "Bachelor in Paradise" when Clare finally lost it and turned to a raccoon as a confidant? She later revealed that she was actually talking to a producer. Or when Clare was on "The Bachelor" and she and Juan Pablo took a late-night swim in the ocean and something definitely happened? In a later interview, Clare contended that, actually, nothing happened. If a news program twisted the facts about people in this way, they could be sued -- and they would likely lose the case. But all of this kind of manipulation is fine on "Bachelor in Paradise." The contract makes that clear: Contestants sign away to producers "the right to change, add to, take from, edit, translate, reformat or reprocess... in any manner Producer may determine in its sole discretion." And, once the producers have done all that editing, the contestants understand that their "actions and the actions of others displayed in the Series may be disparaging, defamatory, embarrassing or of an otherwise unfavorable nature and may expose me to public ridicule, humiliation, or condemnation." The contract requires that participants refrain from unlawful behavior or harassment, and to acknowledge that the producers do not encourage "intimate or sexual" contact with other contestants on the show. But the contract also tries to free the producers from any responsibility if a contestant is injured, even if that injury comes from unwanted sexual contact. "Bachelor in Paradise" shooting was suspended earlier this month after an incident involving alleged misconduct that took place on set. The two contestants at the center of the controversy, Corinne Olympios and DeMario Jackson, publicly identified themselves last week. Both have said in separate statements that they've individually hired legal counsel and plan to seek justice. So why would anyone sign a contract like this? 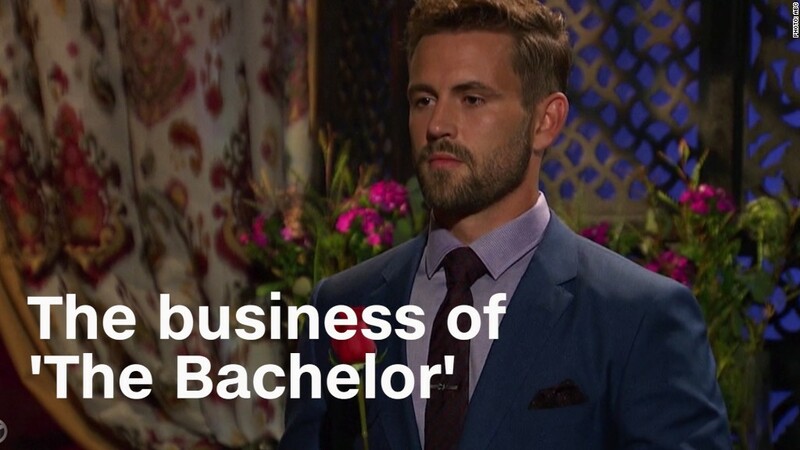 Why would the many contestants -- some of whom are lawyers -- who've taken part in the "Bachelor" franchise agree to terms like those contained in the contract? "When people want to enter into a show and they see fame and fortune, stardom, they aren't going to take it to a lawyer and negotiate with the company because the show will be like, 'There are 13,000 other people who will do this,'" said attorney Joey Jackson, a CNN/HLN legal analyst. But the contract is so broad in places that it might not actually be enforceable, the lawyers who spoke with CNNMoney said. They also said that it could not stop criminal proceedings, should there ever be a criminal incident that took place during filming. "If the contract requires you to release any claims you have that you were sexually assaulted, which is a crime, then the contract may or may not be enforceable under the public policy of the state of California [where this contract was drafted]," said entertainment litigator Josh Schiller of Boies Schiller Flexner. "Law enforcement could get involved and bring charges ... would we want to enforce a contract that no one would be liable if they were filmed being sexually assaulted? That would create a real problem." But if contestants choose to pursue legal action against the show or production company, there are a few loopholes. "These contracts are so one-sided it seems absurd but this is the price people are willing to pay to be on television for whatever it is," Page said. "I would try to find a way around what's in there and if there isn't a way around I would file a claim anyway because once you file a lawsuit, it's public and it puts pressure on a network if it's a valid claim." "It's not a two-sided contract," Jackson said. "A contract is supposed to be what they call 'at arms length,' which means there is leverage on both sides and it's freely entered into and freely negotiated. But this is clearly a contract that is one-sided ... I absolutely see there being major concerns with the manner in which the contract is drafted. I think there are significant arguments to be made for an alleged victim, that there are reasons to believe they could have success." But the legal experts who reviewed parts of the contract for CNNMoney agreed that one part of it is almost certainly enforceable, a provision that says any contestant who does want to sue the producers gives up their right to a jury trial and instead must subject their claims to arbitration, where decisions are final and legally binding. Contestants can't appeal an arbitrator's decision and the proceedings are kept confidential, which is a benefit to producers who want to keep controversial incidents away from the public's prying eye. When asked for comment, ABC, which broadcasts the show, referred CNN to Warner Bros., which declined to comment on the contract or the investigation.